Sneak preview of Infinite Universe’s new cover! It was a full-on January for us last month both personally and professionally! 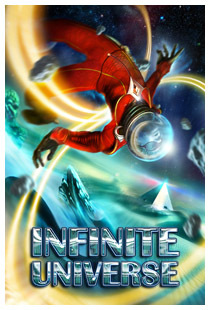 Needless to say Gamebook Adventures has been motoring ahead and we’re currently about a week away from submission of our 8th GA title, Infinite Universe. Not only is GA8:IU our forst foray into the genre of science-fiction, but it is also the first time that we’ll be releasing a GA title for free on the app store. You’ll be able to read the first chapter of the adventure (300 sections!) for absolutely nothing and if you feel you want to continue the experience, you’ll be offered options to either buy individual chapters or all the chapters at once at a reduced price. It’s an interesting pricing structure for us but one we feel should appeal to not only our current fans, but also any new readers that try us out because it is free. From a design point of view, GA8:IU also makes full use of our new engine that debuted in Temple of the Spider God and will include a host of new skills that can be earned throughout the adventure. We’re not going to reveal just yet how those skills are built up, but rest assured it’s certainly a unique way to “create a character” that has been cunningly devised by Andrew Drage (Brewin’). GameTaco – Tin Man Tactics – Interview by popular Aussie gaming site that concentrates on our marketing and what we’ve done to try and build our indie business. Trollish Delver – The digital adventurer – Trollish Delver is a full-on RPG site mainly dealing with table-top gaming. This interview concentrates on the gamebook revival and our history within that. It also delves into what the future holds in store and licensing Judge Dredd. Cubed Gamers – An interview with Neil Rennison – Cubed Gamers is a gaming news site and interviewed Neil a lot about the perception of gamebooks to youngsters and whether digital books are “killing off the book”. We were so bloody close! Sadly though all the Twitter and Facebook pimping in the world didn’t enable Temple of the Spider God to win the 2011 Best Dice Game Award. We did proudly come second though, which is a big step up from 2010, when An Assassin in Orlandes didn’t even make the last three. Next year…. NEXT BLOODY YEAR! 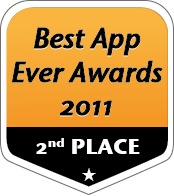 At least the guys at Halfbrick managed to win the grand title of Best App Ever with Jetpack Joyride. Go Aussies!!! The Middle-Aged Geek Guy – “An Assassin In Orlandes has successfully established Tin Man as masters of the gamebook genre – from cover to cover.” – 9 out of 10! …FINALLY SOME OTHER AWESOME COVERAGE ON KOTAKU! If you know where to look, and you know how to apply, funding is available. Morgan Jaffit is proof of that. As is Firemint, Iron Monkey, Tin Man Games and almost every other success story you care to name. These studios have become leading lights, at least in part, as a result of government funding.